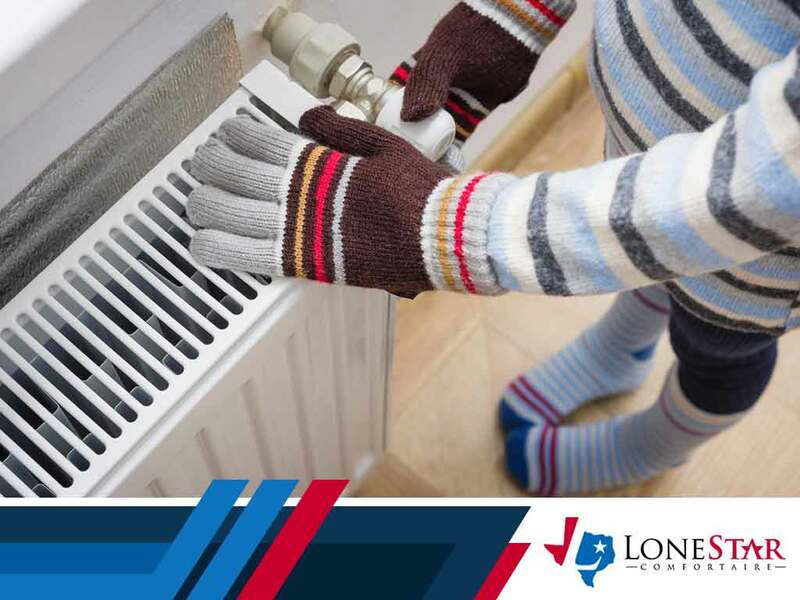 Lone Star Comfortaire, your HVAC repair experts, shares a step-by-step guide to diagnosing a heater that won’t turn on. First, check if the thermostat has power and make sure it’s set to the heating function. The temperature setpoint must also be higher than the ambient temperature in the room. Set the fan on the thermostat to “on” just to be sure. Next, you will have to check the power. What most homeowners don’t realize is that even gas-powered heaters use electricity and your heating problem may, in fact, be an electrical problem. Check the circuit breaker and make sure that the heating equipment isn’t tripped. You’ll then want to inspect the systems power cords for signs of damage and replace the ones that have any tears or cuts. Finally, check the heating system’s control board for burn marks as these are clear signs that the system may have sustained an electrical short. The condensate pan is a forgettable part of the heating system and is often the source of your “no heat” problems. If its full, then the heater won’t turn on. You simply need to drain the reservoir to fix this. Make sure to check the condensate pipes for blockages so that the pan doesn’t fill and stay full. If your heating problem still persists, then we recommend you contact us. At Lone Star Comfortaire, we are one of the top heating and air conditioning contractors in Texas. With over 35 years of experience, we have been providing homeowners with quality heating and cooling services. No job is too big or too small for us, and we treat every job with the same level of importance and respect. Our company offers heating and air conditioning repair, as well as HVAC replacement services. Call us today at (972) 578-1701 to learn more about our services. We offer HVAC repair in McKinney, TX and other parts of Texas.